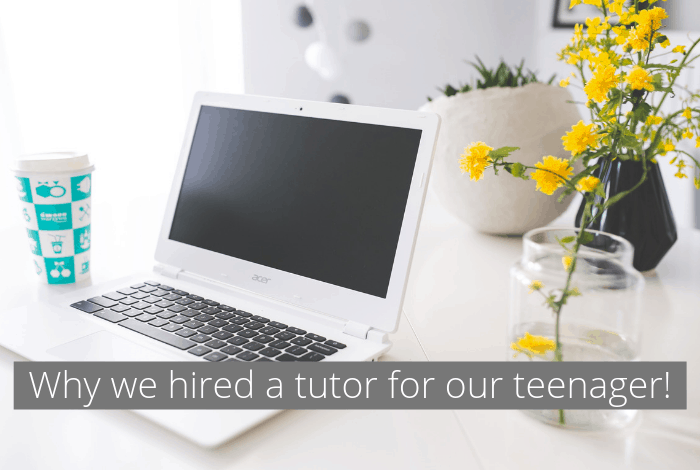 Why we hired a tutor for our teenager…. I mentioned in a post recently that we’d hired a tutor for our 16-year-old to help her study for her exams and a couple of people commented or messaged me to ask me to share a bit more about why and how we did it so that’s exactly what I thought I’d do today. Miss Frugal has always been a good student who got good grades in most of her lessons and was pretty much on track for achieving the quite high targets that she’s been stuck with throughout her time at secondary school thanks to some pretty good SATs scores that I never really agreed with but that’s a whole other story. Around the middle of Year 10, it started to become apparent that she wasn’t doing as well as she had previously in English but I was determined not to put pressure on her as the decline in grades wasn’t for lack of trying and I’m a firm believer that if a child is trying their absolute best then we shouldn’t be anything but proud of the results. I spoke to her English teacher who agreed that the effort was there but something just didn’t seem to be clicking so although she wasn’t going to fail, she wasn’t going to get the predicted high grades. 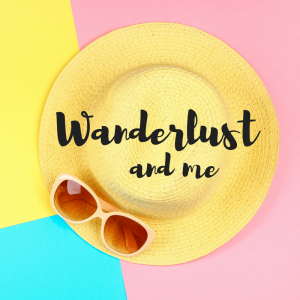 We decided to leave it over the Summer Holidays last year and regroup in September when she went back to school as a year 11 student and when we did, it was obvious that we needed to intervene. Her English grades had gone down even more and she was down to a level 3 which is the new equivalent of what used to be a D and was much lower than we know she’s capable of. It seemed that this was having a knock-on effect on some of her other subjects too as she’s slid down a little in a few other things – nothing major but there was a definite worrying downward trend which we needed to try and turn around. I asked what we could do to help her and she asked if we could get her a tutor to help with her English as that was the subject that she was most concerned about and she felt that she was worrying much about that to the point where it was affecting her other subjects. So, back I went to the school and the lovely English teacher that I spoke to recommended a local tutor who was far from cheap but had seen great results with students in the past. The teacher told us that a tutor would definitely help and that even though Miss Frugal should rule out the predicted grade of a 6, she should now be aiming for a steady 5 which would be hard work but achievable with lots of work and the help of a tutor. We started the weekly tutor sessions back in November and have been weekly other than during school holidays and the odd week where either we’ve had plans of the tutor’s been busy and the difference is amazing! Genuinely amazing. I knew it would be from the moment when Miss Frugal walked out of her very first tutor session with a look of relief and happiness on her face. She said to me that the tutor had asked her to share the things that she just didn’t understand and the things that were holding her back so they could work through them during the sessions. She explained one of these things to Miss Frugal in that first lesson and it was such a key thing that it immediately unlocked something that she’s been struggling with for months. They’ve continued to work through the things that she doesn’t get as well as analysing the mock papers that Miss Frugal has done at school and it all seems to have just clicked – on the last mock exam she did she managed to not only hit a level 6 but to be only 13 marks away from a level 7 which is an old style grade A. And this new found confidence and knowledge has had an impact on the other subjects that she’d fallen back in with her last mock papers showing nearly all level 6’s and 7’s so the tutor has been worth every single penny. She’s much happier going into her exams now and is working hard to achieve the highest grades that she can. Personal recommendation is always a great way to find a tutor because you want someone with a proven track record. If you can’t get a personal recommendation then there are plenty of sites online where you can find someone local to you to tutor your child in person or even someone who can learn English via Skype if that’s better for you. I’d recommend reading up on what each tutor’s skills are, what experience they’ve had and what reviews have been left for them. The lady we were recommended needed to be booked through a tutoring website and even if I hadn’t been personally recommended her, she would have been on my shortlist because of the number of brilliant reviews she had. Don’t be afraid to change tutor if your child doesn’t feel comfortable or get on with the tutor! Miss Frugal is quite shy so this is something I worried about but our lady is so lovely and instantly put her at ease that there was never any need to think about going elsewhere but I absolutely would have if I’d needed to. 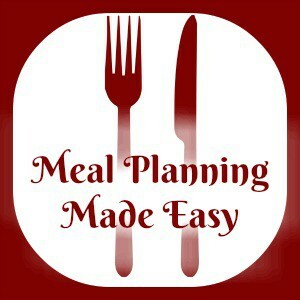 You and your child should set the lesson plan based on what you want to get out of the sessions. Miss Frugal has some very specific areas that she was worried about initially and once they were sorted, they reviewed the mock exams and followed her teacher’s guidance on what to study next. Let the school know that you have a tutor and ask her teacher for their input into what areas would help because that can be invaluable. We once missed a lesson due to illness and doubled up the following week and that was the least productive session we’ve had! We discovered that a two-hour session after a day at school is just too much and they got through less than they would have in their usual hour session as Miss Frugal was just too tired! Hour sessions are just perfect and Miss Frugal often asks for homework which she does in her own time. A tutor was the best thing we’ve spent our money on in a long time! 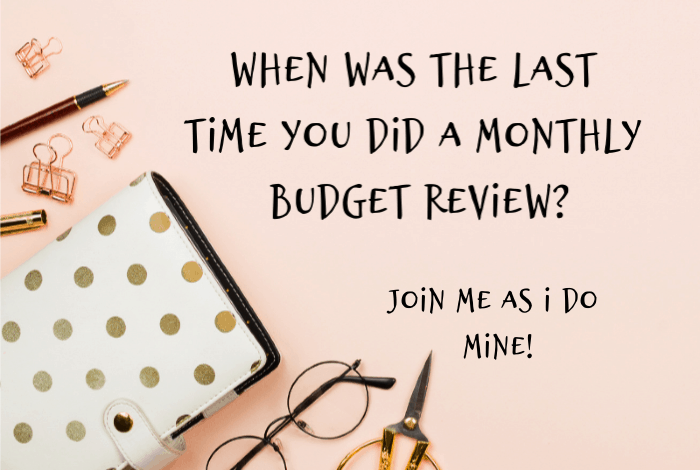 When was the last time you did a monthly budget review?